Our removable Storm Panels provide the most cost-effective protection againstthe violent ravages of Hurricanes and Tropical Storms. 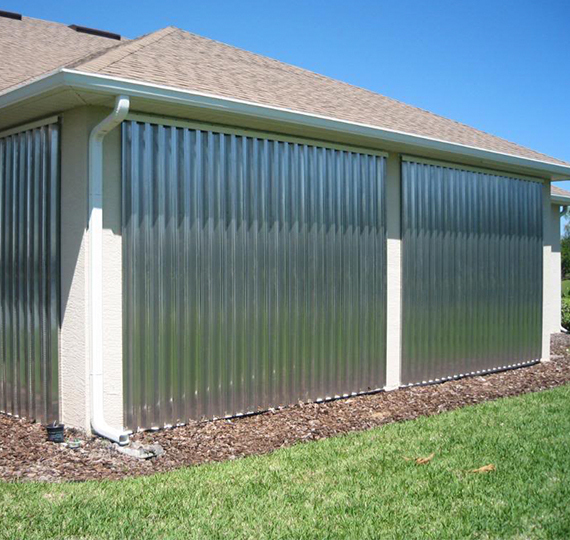 Their rock-solid durability and easy set-up makes our Storm Panels an absolute necessity anywhere storms and hurricanes threaten the safety of your property. 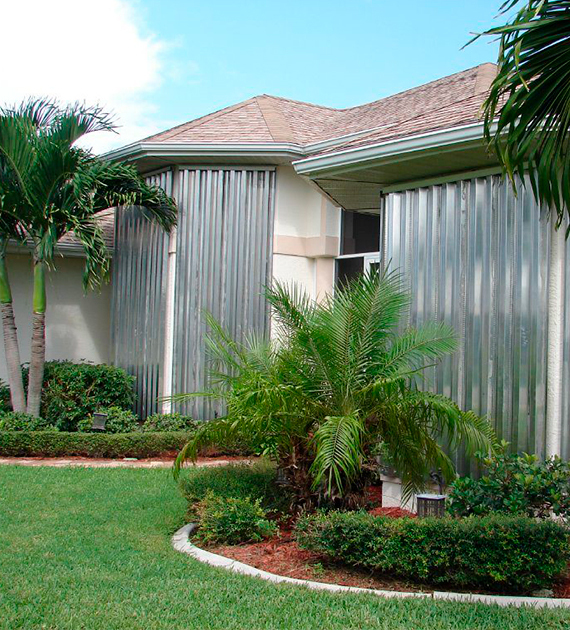 Our .050″ aluminum storm panels, as well as our clear polycarbonate panels, have been engineered to meet the most stringent wind codes in the country and have been reviewed and accepted by the Miami-Dade County product control division, Florida Building Code, and the International Building Code.